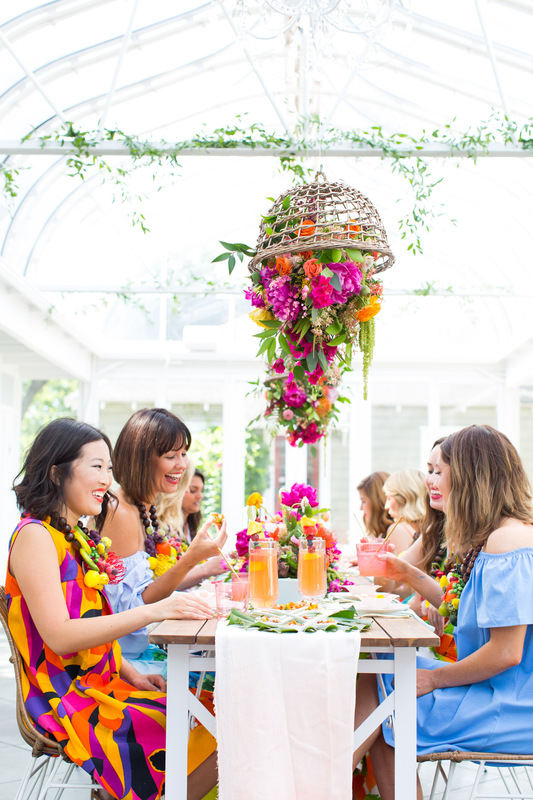 For brides-to-be tying the knot this fall, the time for bridal shower planning is now and today’s super pretty party inspo, designed by our friend Ashley at Sugar & Cloth and recently shared on her blog, is the perfect place to gather some ideas! 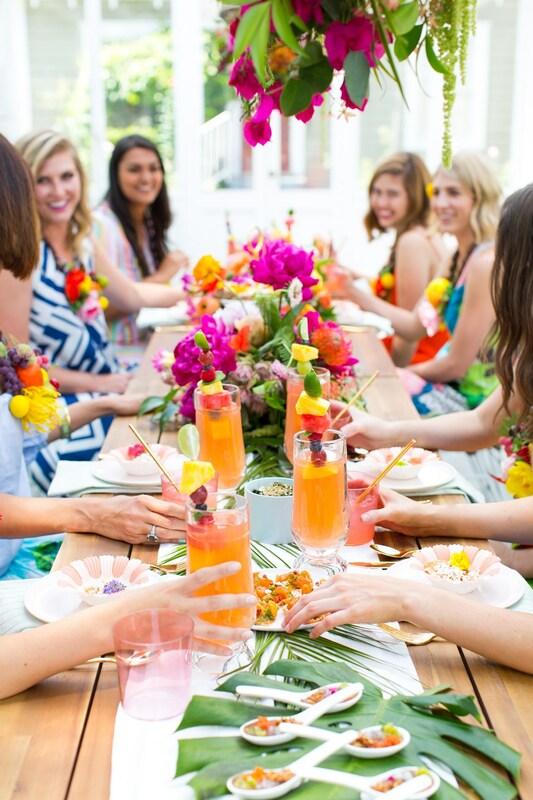 We love all things tropical for summer soirées and Ashley tells us more about her vision for this fun girls’ get-together, When IZZE asked Sugar & Cloth to throw a Friendsday Night party, we couldn’t help but go big! 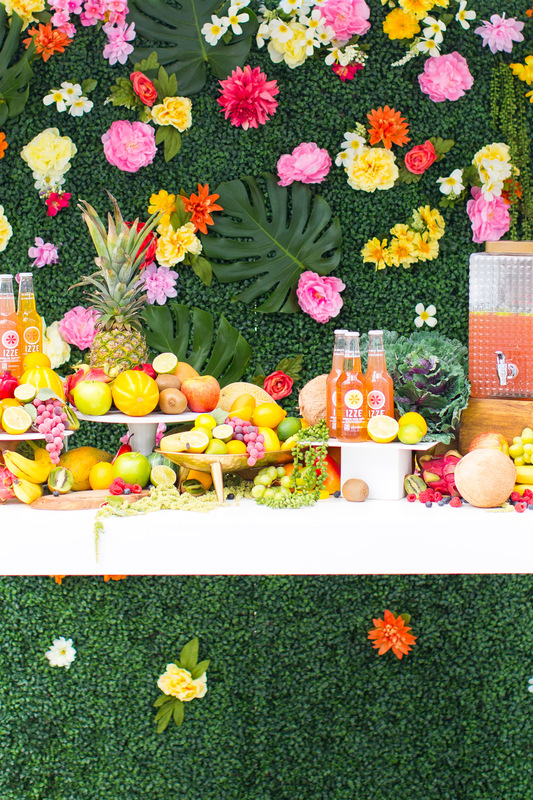 Pulling inspiration from the bright colors of IZZE’s limited-time Sparkling Citrus Ginger Juice and Sparkling Grapefruit Juice, we hosted a gorgeous tropical garden party. 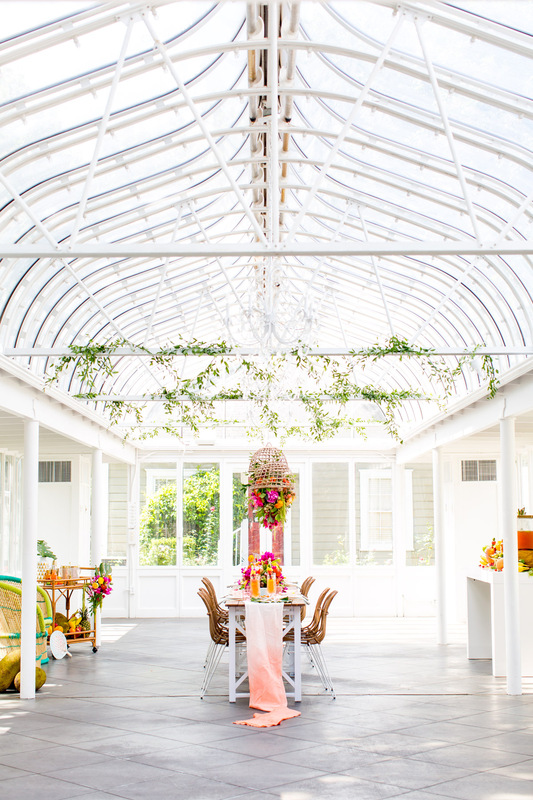 A pretty Houston greenhouse where one of my friends recently got married served as the perfect backdrop for our vibrant tropical touches and DIY flare. We beat the summertime Houston heat with two refreshing IZZE cocktails. 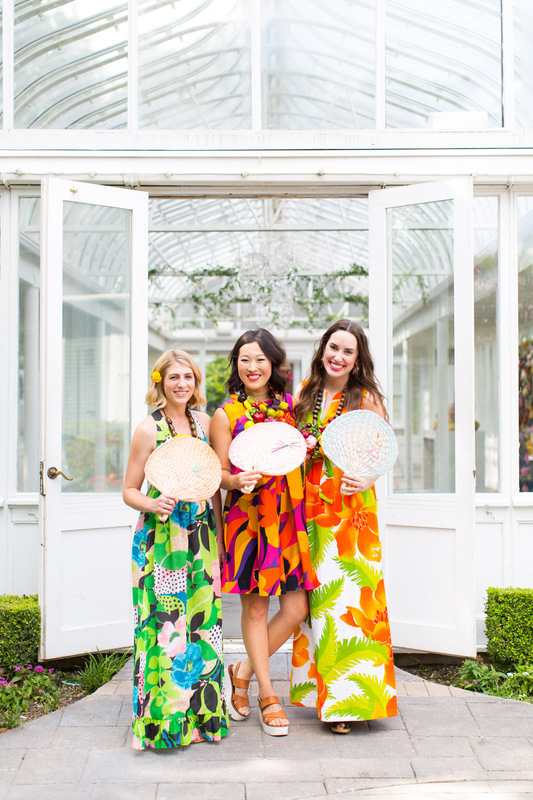 While we used the tropical garden theme as an excuse to get girlfriends together for an impromptu party, it makes for an unexpected and unique them for a bridal shower, engagement party, or more! 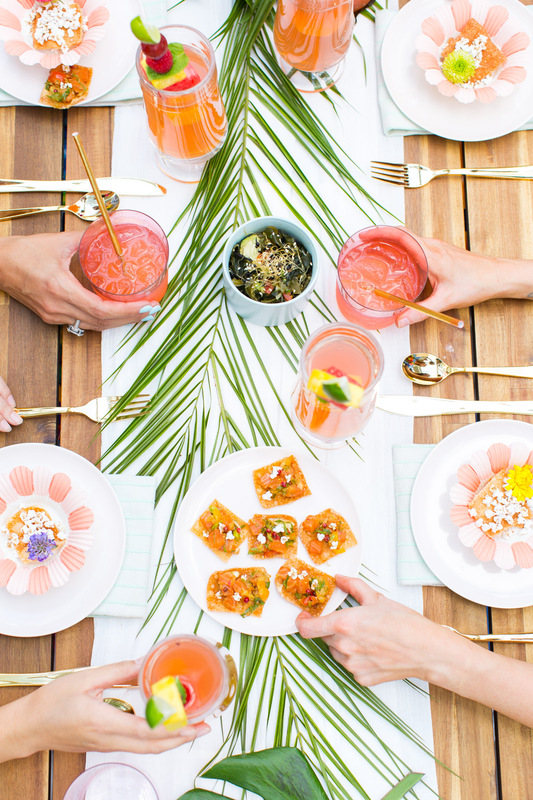 Yummy eats and fruity cocktails are a must for a party like this! 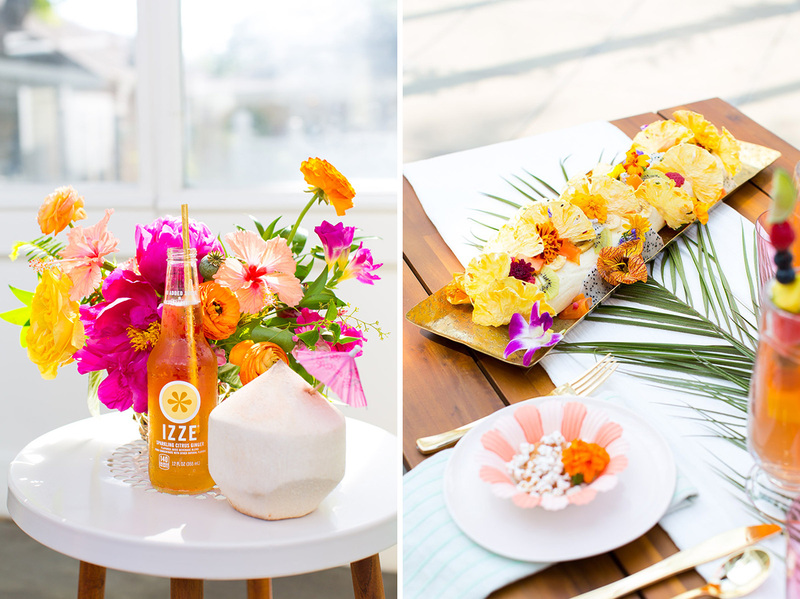 You can get the recipe for these drinks, the IZZE Grapehound Cocktail + the IZZE Citrus Ginger Mule, on Sugar & Cloth! Who wouldn’t want to take a seat at this beautiful tablescape in this beautiful, airy space?!! 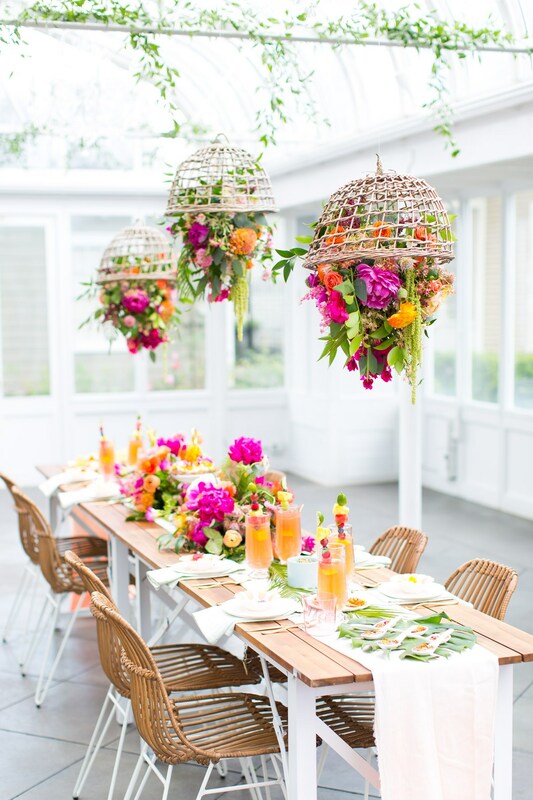 We are majorly loving the ombre table runner and rattan + floral chandeliers hanging from above! Love how these colours POP. 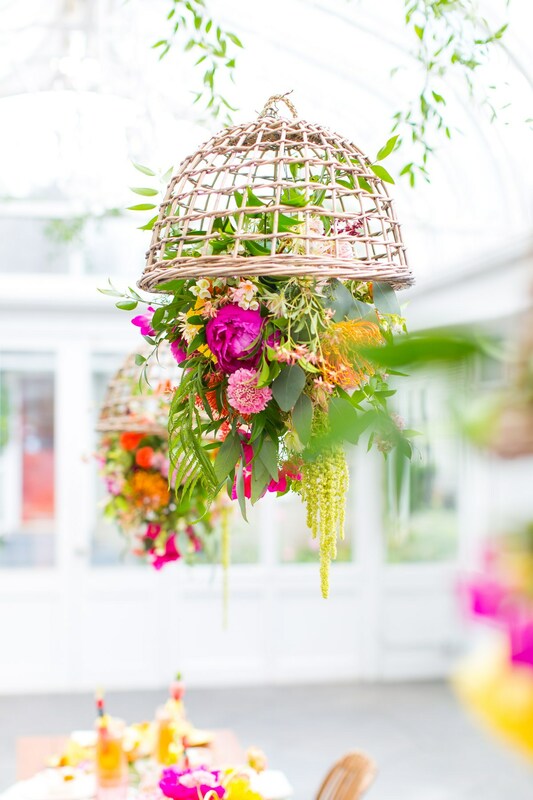 Great inspiration for how to pull off a colourful wedding or party. I especially like the hanging flowers. Thanks for sharing with us. OH MY GOSH these colors are so fresh and bright! 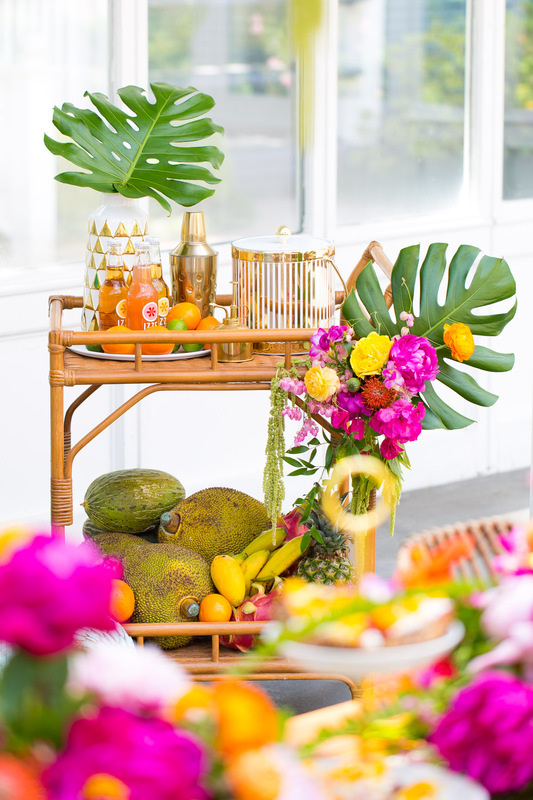 What a beautiful and inspiring party theme!